Happy Birthday to all our September babies! Your stone is sapphire, which is commonly know to be blue but comes in a variety of colors. It is also the 5th and 45th anniversary stone. Sapphire comes from the Greek word sappheiros, which was most likely referring to the lapis lazuli. The sapphire dates back to at least 7th Century BC, where they were used by the Etruscans, who were a civilization in Central Italy known to be powerful and wealthy. In the 13th Century it was said that sapphires had the power to protect against poverty, make a stupid man wise and an irritable man good tempered. They were also reputed to protect kings from harm and envy. Sapphires are now commonly said to symbolize royalty and romance. The most famous example of this is of course Britain’s royal family with first Prince Charles proposing to Lady Diana Spencer with a oval sapphire and then Prince William using the same ring to propose to Katherine Middleton. 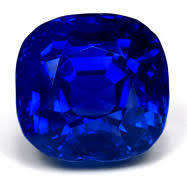 The major source of sapphires is Madagascar but they are also found in Sri Lanka, Thailand, Burma and East Africa. Kashmir Sapphires are the most famous sapphires in the world but are so rare that they are almost never seen in person, only in photographs or museums. The scarcity of the stones are only part of the allure. These stones have a beautiful cornflower blue color and a soft sleepy quality to them that is best described as “velvety” . In April 2007 a 22.66 carat cushion cut Kashmir Sapphire set in a pendant with diamonds was sold at a Christie’s auction for $3,064,000 to an anonymous bidder. The stone set a new record at $135,000 per carat. That sapphire has been described by some gemologists as “a nice stone”, meaning it was far from the finest sapphire from Kashmir. This purchase just shows how much value is placed on owning any one of these rare stones. 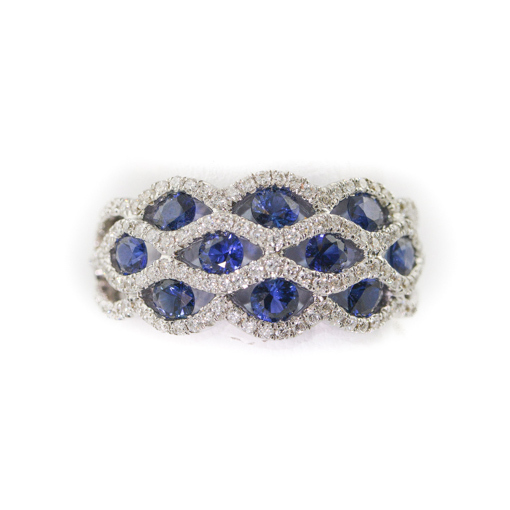 Please come in to our store to look at our selection of sapphire pieces or to custom design your own!